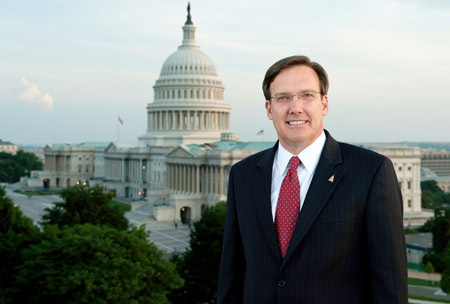 Stephen Ayers, FAIA, CCM, LEED AP, to step down from his position as the architect of the capitol (AOC). According to news reports, Stephen Ayers, FAIA, CCM, LEED AP, the architect of the capitol (AOC), has resigned from his position as the 11th head of the federal agency. President Barack Obama appointed him in 2010 to a 10-year term. As AOC, Ayers is responsible for facilities maintenance and operation of the historic U.S. Capitol Building, the care and improvement of more than 231 ha (570 acres) of grounds and the operation and maintenance of 1.7 million m2 (18.4 million sf) of buildings including the House and Senate Congressional Office Buildings, the Capitol Visitor Center, the Library of Congress Buildings, and the U.S. Supreme Court Building. Under Ayers’ leadership, the AOC oversaw the restoration of the U.S. Capitol Dome, the Ulysses S. Grant Memorial, a campus-wide effort to restore and repair deteriorating stone façades, and launched the renewal of the Cannon House Office Building, a century-old building plagued with serious deficiencies. Ayers is the recipient of the Construction Industry Institute’s (CII’s) 2011 Carroll H. Dunn Award for Excellence and the 2018 Thomas Jefferson Award for Public Architecture by the American Institute of Architects (AIA). “Throughout his tenure as architect of the capitol, Stephen Ayers has successfully ensured the highest standard of preservation for some of the most important buildings in American history while also overcoming signiﬁcant challenges. He oversaw the repair of the Washington Monument following signiﬁcant damage during the 2011 earthquake and he restored the U.S. Capitol Dome and Rotunda by repairing more than 1000 cracks. He has proven how architects can lead and serves as a symbol of the impact architects have on public projects. His work over the course of his 20 years in public service is truly a blueprint for better,” said the AIA.